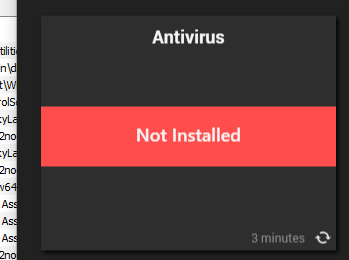 We've got MalwareBytes installed on some of our PC's, but when we look at those PC's in the PC window (that you get when you double-click on the device), it shows no Antivirus installed. I contacted support, and they said I need to update the details in Dashboard -> Config -> Configurations -> Virus Scan, but they didn't tell me what the settings would be, they said I needed to contact MalwareBytes for those settings. I contacted MalwareBytes and they contacted Labtech/Automate for me but 2 weeks have gone past and I've heard nothing. Does anyone know what these settings should be for MalwareBytes ?